Craftlush is back! We had so much fun with our last Shrinky Dink endeavor we decided to do it again with a fun new twist! Creat one large and a few small charms for accents to attach to a bracelet or keychain and enjoy! Event is being held at the Gallery at Twenty-Two. 1500 Central Avenue at the corner of Central and Pecan in the Plaza-Midwood Neighborhood in Charlotte, NC. The first Charlotte Mini Maker Faire will take place at Discovery Place on Saturday, October 10, 2015. Makers call it the Greatest Show (& Tell) on Earth (and we’re not ones to disagree!). Maker Faire is part science fair, part county fair, and part something entirely new! As a celebration of the Maker Movement, it’s a family-friendly showcase of invention, creativity, and resourcefulness. Charlotte’s first Mini Maker Faire will be a place where local vendors can show what they are making, and share what they are learning with the community. More than 70 makers (shared below) from across the Carolinas will exhibit at the Charlotte Mini Maker Faire, from tech enthusiasts to crafters, homesteaders to scientists, professionals to garage tinkerers. You’re never too old to learn new tricks, or find inspiration, and Makers of all ages and backgrounds and will allow attendees to participate in a great day of learning and doing. In addition to launching Charlotte’s first Maker Faire, earlier this year Discovery Place was invited to present at the National Maker Faire in Washington, DC to showcase how Discovery Place brings Make to the community through education. With Museum exhibits like Think It Up! and Innovate 301, a free community outreach initiative introducing residents to the Maker movement, the hope for launching Charlotte’s own Maker Faire is to bring Charlotte’s curious people together in order to continue growing this increasing community of local innovators. You’ll find Makers of all kinds, attractions and performances, presentations, and many hands-on activities to get ignite the fire in you to become a Maker. · Carolina Combat Robots brings you BotHockey where you can practice the perfect hat trick, and then watch a pair of mechanical gladiators duke it out in the Robot Combat arena. · Take up-cycling to a whole new level as The Scrap Exchange brings barrels of doo-dads and knick-knacks for you to piece together something amazing to take home. · Watch the power of electricity unfold as thousands of volts of electricity are harnessed for Musical Tesla Coils, producing sparks up to two feet long. · The world’s first 3D printed kayak, created by Grass Roots Engineering founder, Jim Smith. Inside Discovery Place, more than 50 different makers stationed on all three levels of the Museum. Hands-on workshops and demonstrations will take place every hour, on the hour between 11:00 a.m. to 3:oo p.m. Workshops have a capacity of 25-30 guests on a first come, first serve basis, so don’t miss out on the fun! Outside on Tryon Street, you can explore additional makers and enjoy popular food trucks like Street Spice, Mae’s Creole Kitchen, King of Pops and Roman’s Icy Treats. There will be performances throughout the day at MAX, UNC Charlotte’s Mobile Arts and Community Experience stage created by Boxman Studios. This former shipping container has been transformed into a performance stage that features over 16 feet of decking and rock-n-roll trussing. Stop by the MAX stage to check out the performance schedule. We have listed all of the Makers who are going to be at the Charlotte Mini Maker Faire below so you can get a jump start on planning your day! The Maker Faire will be held at Discovery Place on Saturday, October 10th from 10:00 a.m. to 4:00 p.m. both inside the Museum and along N. Tryon Street between 6th and 7th Streets. Outdoor exhibits on N. Tryon St are free and open to the public. Indoor exhibits and workshops are included with Discovery Place admission: $15 for adults (ages 14-59), $12 for children (ages 2-13) and Seniors (ages 60+) plus any applicable sales and use taxes, and free for children younger than age 2 and Discovery Place Members. Parking is not included. Tickets are now on sale at cltmakerfaire.org. Advance purchase is recommended. For more information, visit cltmakerfaire.org or join Charlotte’s online Maker community on Facebook, Google+, or Twitter at @CLTMakerFaire. Check out all the fun at #CLTMakerFaire. Charlotte Mini Maker Faire is independently organized and operated by Discovery Place, Inc. under license from Maker Media, Inc.
One of the top hands-on science museums in the nation, Discovery Place provides ever-changing, entertaining facilities that engage people in the active exploration of science and nature. The Museum brings relevant, contemporary science to life through groundbreaking exhibitions, interactive educational programming and hands-on activities. Discovery Place is located in uptown Charlotte at 301 N. Tryon Street. Convenient parking is available in the Museum’s parking deck – the Carol Grotnes Belk Complex – at the corner of Sixth and Church Streets. For more information about Discovery Place, call 704.372.6261, visit discoveryplace.org or connect with Discovery Place on Facebook, Twitter, Instagram and YouTube. Discovery Place, Inc. owns and operates Discovery Place, Charlotte Nature Museum, Discovery Place KIDS-Huntersville and Discovery Place KIDS-Rockingham and is supported, in part, with funding from the Arts & Science Council. The original Maker Faire event was held in San Mateo, CA and in 2015 celebrated its tenth annual show with some 1100+ makers and 145,000 people in attendance. World Maker Faire New York, the other flagship event, has grown in four years to 600+ makers and 80,000 attendees. Detroit, Kansas City, Atlanta, Milwaukee, Orlando, Pittsburgh, San Diego, Silver Spring, Ottawa, Lisbon, Paris, Rome, Berlin, Newcastle, Hannover, Oslo, Trondheim, Seoul, Singapore, Taipei, Tokyo, and Shenzhen are the home of larger-scale, “featured” Maker Faires. In addition, over 120 community-driven, independently organized Mini Maker Faires are now being produced around the United States and the world—including right here in Charlotte. Come explore the world of 3D printing! This group of makers will demonstrate how the 3D printing process works and will showcase the different types of 3D technology. You could even see a 3D-scanned image of your head! A 3D-printed replica of a 1965 Shelby Cobra sports car will be motoring to Charlotte. Created by the Department of Energy at Oak Ridge National Laboratory, the Shelby is printed out of carbon fiber-reinforced plastic and took six weeks to complete. This laboratory on wheels showcases modern additive manufacturing and rapid prototyping technology. 3D Printers with ComputerSource,3D printers, too! Get up close to with some of the top 3D printing companies in the world such as Makerbot, Printrbot, SeeMeCNC and LulzBot. ComputerSource,3D printers, too will be on-hand to answer any of your 3D printer questions! Meet the team that started the 3D printing revolution. Attendees will have a front-seat view of two of the most popular and innovative 3D printers in the industry. Founded in 2008, A-to-Z Publishing creates books with a cultural twist or positive message that children love to read! These stories have a special focus on bringing children and families closer to their culture, language and traditions. If you think Raspberry Pi is a baked good, you need to stop by this booth! Learn how these tiny computers have changed the way kids interact with technology by programming fun robot creations. Based out of Alamance County, NC this Makers Guild is also the host of the Burlington Mini Maker Faire. Meet the makers of the guild and explore their favorite tinkerings including network cameras, solar powered electricity and even an R2DCube droid. Interact with smart-connected gadgets and gizmos as you explore how your cellphone can control trinkets and electronics in your home! The QR Code has never been so powerful. Get ready to battle! Meet the makers and organizers of Charlotte’s local robotic combat competitions. Guests will get to maneuver their own robot competitors in a round of Bot Hockey. Have you ever played Tic-Tac-Toe with a robot? Check out Microprocessor Lab demonstrations with CPCC’s Computer Engineering department and explore some of the cutting edge technology they are working with, like a Block Stacker Robot arm! Fab Ed Carolina is housed in Central Piedmont Community College as part of the Engineering Program within the Engineering Technology Division. Fab Ed Carolina’s primarily integrates personal fabrication, engineering education and entrepreneurship for the Charlotte Region. Find out what first-person-view racing is about with the Charlotte FPV Racing League. The group builds, flies and races radio-controlled air vehicles, often referred to as drones. Members use custom made and off the shelf components to build their aircraft and get together regularly to share ideas, fly and race. Come play with clay! Try your hand at some clay creations using textures and various clay tools, and even try the pottery wheel. Clayworks programs are designed to facilitate an environment of artistic exchange between students, instructors and working artists. When local artist Britt Misenheimer couldn’t find the right Mother’s Day gift for her mother after heart transplant surgery, she decided to create a bangle in memory of her donor with angel wings and a charm. Since then, her fascination and passion for taking old items and giving them a new purpose has manifested into CLT Boutique where Britt makes upcycled jewelry, accessories, pallet signs wreaths and other handmade goods. Collett Couture offers handcrafted jewelry based on elegance and positive energy featuring sterling silver, 14Kt / 12Kt gold-fill, and 24Kt gold electroplate. Designer Nicole Willis’s favorite materials to use are gemstones, which are incorporated into most of the designs. Design Tools (or Toys) for 3D Printing! Are 3D printers more of a tool or a toy? You decide! Stop by to explore how 3D printing can impact your life for both work and recreation. Sometimes a spark of inspiration can create tomorrow’s next greatest invention. Stop by to meet the team at Edison Nation and one of their most successful inventions: the Gyro Bowl, a spill-resistant kids’ gyroscopic bowl with lid. What do radios, lasers and receivers have in common? Find out here! See an authentic 1924 Atwater Kent Breadboard Radio and how modern communication technology is inspired by tools of the past. Any way you cut it, digital fabrication is cool! Check out EM Fabrication, LLC to explore how they use CNC routing and fabrication from materials such as plywood, solid wood, acrylic and even cardboard. Based in Greensboro, NC, Fusion3 designs and manufactures high-performance 3D printers for education and commercial customers. Their printers offer high-speed, high-reliability printing in many materials at a fraction of the price of legacy commercial systems. You might be in for quite a shock when you meet members of the Foothills Community Workshop. This group of makers out of Granite Falls, NC enjoys making things, discovering how things work, creating new projects, and sharing skills and knowledge with others. Attendees can measure an electric charge and program vintage computer systems. Hackerspace Charlotte is a non-profit organization where people with common interests in computers, technology or digital/electronic art can meet, socialize and collaborate. This open community lab incorporates elements of a machine shop, workshop, classroom, and studio where all kinds of hackers can come together to share resources and knowledge to build and make cool things. No patterns or are allowed for this art project! Express yourself by hand painting your own piece of wearable art. The spontaneity of working freehand allows the design to acquire a life of its own. The result is a true one-of-a-kind piece of art to wear that is as unique as its maker: YOU! This booth will be a High Point University/LEGO Education booth. Participants will build and race cars, participate in demonstrations and building challenges. Free Build will be available for those who just want to build. Homemade Hoops and what to do with them! Find out how to make a Homemade Hoop for dance, play or exercise using household tools and supplies from your local hardware store. View examples of the step by step process, play with a completed hoop and learn about the different methods of creating your own hoops! Honey bees are among the most important creatures for food production. Meet a local maker family that builds everything for their beekeeping establishment in-house…even the bees. From building their own gear from cedar and cypress rough lumber to breeding their own bees with a gentle disposition, disease resistance and maximum honey yield, learn more about how this family helps support local bees. It’s hard to leave our furry friends at home, but with technology like Raspberry Pi, pet owners can now monitor and treat their pets remotely using a mobile app. A day at the office can’t stop Dan Thyer from having a squirt gun battle with his kids, thanks to his very own Internet of Things (IoT), a home automation system that uses four different microcontrollers to operate 30 objects around his house, including a water gun. Learn more about the ways you can use this technology in your own home. Build your own fun electronic circuits using conductive molding clay. Students will show you how to make your own and have fun with circuits! You won’t believe what local designer, Jessica Coate, has up her sleeve! Stop by to see an array of handmade designs, accessories and wares that are sure to catch your eye. From Spaghetti scarves to 3D cards, this local designer has something for everyone. Originally from Finland, Ari Lehtela has been involved in music in North America for over three decades. Impressed by the sound and playability of local Charlotte builder, Luke Lukuer’s instruments, Ari realized that handmade was the only way to go. Lehtela guitars are truly custom instruments that are designed for the individual player. Have some amphibious fun with Discovery Place’s Live Care team! Investigate the life cycle of frogs from eggs, tadpoles, froglets and adult frogs. Examine some fruit fly cultures and watch a demonstration on how these cultures are made. Did you know Discovery Place’s jellyfish have exhibited in two countries and seven states? Learn how Discovery Place’s jellyfish propagation and research program is successfully breeding microscopic polyps and nurturing them into adulthood. Gather sensor data using an Arduino and analyze the results using SAS Studio. Learn about the role of Data Scientists in the Internet of Things and the kinds of math and data skills needed. Analyze data in the cloud with just a few mouse clicks using SAS. Innovative young minds using Science, Technology, Engineering, Art and Math (STEAM) to explore, learn and make! Find out the science of sandblasting! Local maker and artist Zach Smith will share how blasts of high pressure abrasives onto the glass can give new life to old mirrors. Watch the power of electricity unfold as thousands of volts of electricity are harnessed by a pair of jumbo tesla coils, producing sparks up to two feet long! These singing sparks may just spark your imagination! You may not get to meet face-to-face the makers behind Napada handbags, but you’ll still have the opportunity to enrich their lives. Napada employs women in low-income communities in Bangkok, Thailand, who otherwise might not have a viable work opportunity and provides a creative outlet. The Napada booth will have unique, hand-crafted bags available for sale, including totes, wallets, backpacks and organizers. Using the paper templates, design and build an original marble course with jumps, turns, loops and more … all with paper! Add conductive tape and connect Makey Makeys to your coaster and control your computer when a marble touches a portion of the track. Across the world, hundreds of thousands of people are in need of an organ transplant. What if those organs could be custom-made on 3D printers? Meet Chris Leggett, the maker behind PrintHuman, a Fayetteville, NC-based biotechnology startup that combines the 3D printing experience with the possibility of printing human organs for transplant. Project Hub is a work space for local makers to collaborate, innovate and cultivate a community. This group promotes creative problem solving to real world applications for people of all ages and interests. Meet the unique collection of robots from RoboMustache, an Asheboro, NC-based company that makes wooden robot craft kits, necklaces and other robot creations. Founder Charles Wade will be showing off robots and will have kits available for sale so you can take home your own wooden craft robot. This Makerspace community based in Greensboro, NC provides the tools and fosters the collaboration that will give every idea an opportunity and every creative interest an outlet. Puzzle boxes originated in Japan around the turn of the 19th century. With the availability of programmable microcontrollers, a new twist to the age old puzzle box can be realized. The Pirate Box is an Arduino-powered puzzle box that, after solving a mechanical puzzle, gives the user an opportunity to interact with an Arduino to solve a series of increasing difficult games and puzzles to ultimately unlock the box. SPORK, standing for Students Providing Outreach and Robotics Kinship, is a high school robotics program through the international program FIRST. Team SPORK strives to better the lives of high school students through the introduction to the principles of engineering, leadership, teamwork, hard work, and fun. Each January, SPORK builds a robot for a given challenge and then competes against teams around the world. Take up-cycling to a whole new level as The Scrap Exchange brings barrels of doo-dads and knick-knacks for you to piece together something amazing to take home. Cables can do more than just provide fast internet service! Stop by the booth to create your own cable-inspired jewelry, and even make your own flashlight to take home. The newest Makerspace to launch in North Carolina is coming to you! This makerspace is a melding of people and ideas from a variety of backgrounds coming together for the purpose of education, innovation, entertainment, and the wow. 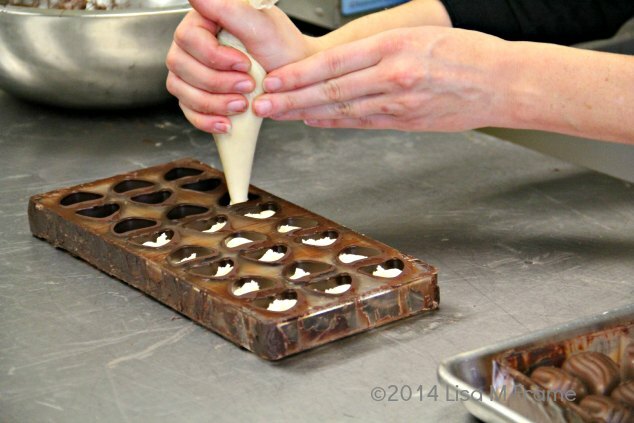 Explore their work with some hands-on demonstrations. Try your hand at paper engineering and stop motion video using cardboard and other materials. Then see what other students have been doing in classroom Makerspaces to deepen their learning and make a difference in their communities. UNCG School of Education’s SELF (Student Educator Learning Factory) has developed a partnership with K-12 public schools in the Piedmont Triad. Through the implementation of makerspaces in schools, the program aims to develop the mindset of teachers to shift their focus from “teaching” to “learning”. Meet fiber artist Sydney Sogol whose work focuses on exploring the relationship between color and pattern through weaving, dyeing and manipulating fabrics. Her work is inspired by her fascination with nature and biology, specifically animals. She enjoys creating pieces that range from more fine-art oriented to a more functional brand of art that people can engage and interact with. Art, Design and Computer Science at Winthrop University from Rock Hill, SC join together to present the exciting ways we are integrating maker technology in each discipline. Makers will demonstrate 3D modeling, present 3D printing and share a 3D virtual reality experience. Wishbass is like a paintbrush for musicians. Explore locally handmade stringed musical instruments. Guests will have the opportunity to play instruments and see the handmade craftsmanship up close. With the technology of 3D printing, the possibilities are endless! Come see the world’s first completely 3D printed, customized kayak that was printed on a home-built, large scale 3D printer. This custom kayak measures 16ft 8in long and only cost around $500 to make, and it floats! Explore the latest in wearable design both on the runway and at the booth. Students have incorporated wearable technology and 3D printing into form and function for everyday and a night out on the town. Express yourself through the art of recycling. Leave your artist’s mark on the Monstar Trailer and a Roll off Container, while engineers at Queen City Metal Recycling talk about recycling and its importance to our environment. Why buy it when you can create it? Meet Benny, the maker behind Benny’s Yard Art, as he creates his art from discarded pieces of metal at junkyards. Rankin Barnes, the maker behind Crankin Engines, will share his mechanical know-how as you discover how small engines power our daily lives. Test an engine’s compression pressure, observe a cut-away engine and discover ideas for starting a home-based business as you explore engines and simple mechanical principles. Use real tools to take apart a lawn mower engine and then learn how to put it back together. Learn about the art of fused glass and stained glass with Charlotte-based Shed Brand Studios. Explore the stages of producing a fused glass piece, as well as samples of completed fused glass bowls, mandalas and stained glass pieces. Then try your hand at this colorful art process. 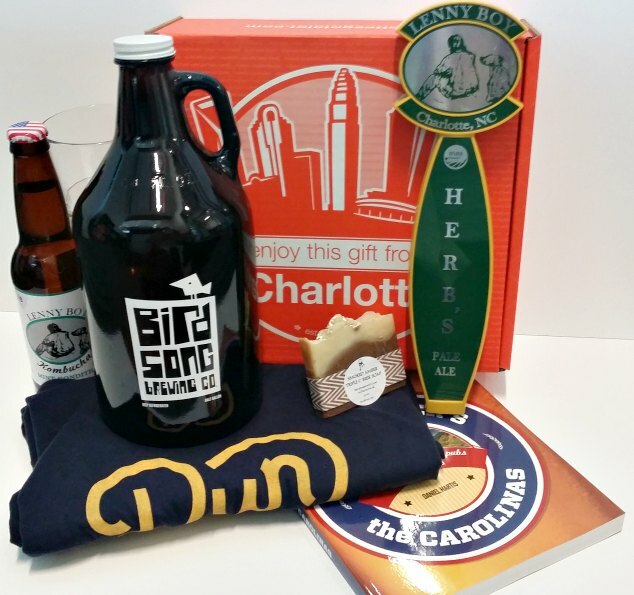 Think out of the box with the Charlotte Mecklenburg Library Main Library. Join them for some fun with Makey Makey Operation, Storytelling, and other events. Then hop on over to the Main Library to explore their makerspace, Idea Box, for extended fun! This once shipping container is now a state-of-the-art, portable theatre and think tank. Performances will take place throughout the day including a Maker’s Fashion Show performances by DrumStrong Drum Circle, UNC Charlotte’s Nouveau Sud Project, dance troupe, jazz performers and Commedia Troupe. Check the stage for Showtimes. We’re on a roll with make! Explore this marble maze and kinetic sculpture and how 3D printers can be used to create hours of fun. Then see a 3D Delta printer in action. Pine Lake Preparatory Middle School participates annually in the FIRST LEGO League challenge. With three parts to the competition, students design solutions to a themed problem, design and build robots to score points on an obstacle course, and work together in the spirit of our core values. Visit them as they share their innovative solutions and competition robots! Have you ever wanted to turn a thrift store find into something colorful and truly unique? Customize that second-hand shirt with Re-Tyed, which makes re-purposed/re-newed /re-awesomed clothing made from thrift stores. Shirts will be available for attendees to dye, while supplies last. Meet the ultimate tailgate maker! The maker behind the Rock & Roll BBQ has transformed tailgating forever with illuminated, automatic corn-hole boards and the coolest seating in town – the Cubicle Racer. Take a wild ride on this automatic office chair. Experience the thrill of modern hobby rocketry! Rocketry of Central Carolina is a high power rocketry club located in the Charlotte area that explores everything from the smaller “Estes” rockets to large rockets like you may have seen on the Discovery Channel. Stop in and chat! Did you know the leader in CNC routers is based in North Carolina? This local company has changed the way makers cut materials using computer controlled routers. Stop by their booth to see some demonstrations and ask about a behind-the-scenes tour to visit Discovery Place’s giant Shopbot CNC Router in the exhibits shop (space limited). Take the Maker Faire home with you in SHOPScience’s maker shop. From robotics to circuitry, find your favorite kit to take home. 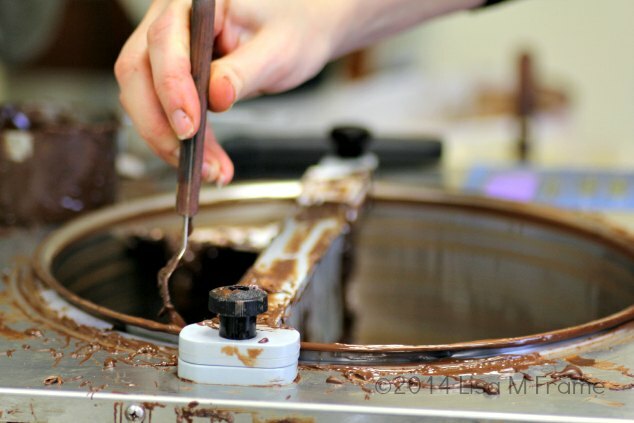 You could end up being America’s next greatest maker! Meet local maker Kit Kube as he shares his science-based kinetic sculpture. Attendees will observe energy decay in a variety of environments. Discovery Place science museum in Charlotte, NC, will always be one of my favorite places to visit in the Queen City. They consistently bring top tier exhibits to our area and I try to attend each one. I was more than pretty excited when they sent me an invitation for GUITAR: The Instrument That Rocked The World. I am an audiophile whose family is filled with musicians (bluegrass) and quite a few of my friends gig professionally in bands. When I walked in, it was wall to wall stringed instruments, along with performance video and audio, as well as hands-on interactive displays. I headed straight over to learn about guitar strings and after strumming each type, now realize why metal strings are preferred over plastic or catgut. The sound is so much better and the tone is clean and pure. But Discovery Place is a science museum, why would they have this exhibit? Because so much of music and guitars have their basis in science. The human brain is uniquiely wired to remember musical patterns better than a series of numbers or letters. Researchers have found that seven times (i.e. numbers, facts, letters, etc.) are about the maximum that most people can keep in their memory. The exception to this is music. Much of popular music is built on riffs, which are groupings of notes that are repeated throughout a song. Our mental ability to embrace musical patterns allows us to remember long riffs when we can’t remember that many numbers. Electric guitars also rely on electromagnetism to produce sound. Each electric guitar has a mechanism called a pickup that converts the mechanical energy of a vibrating string to an electrical signal, allowing it to be amplified, processed and reproduced. When the magnetic field of the pickup is disrupted by the vibration of a metal string, it creates a current in the copper wire. The current is transmitted through another wire to potentiometers, which are often used as tone and volume controls. The potentiometers, controlled by the knobs, adjust the frequencies in the signal that control volume and tone — just like a dimmer switch that adjusts the level of light from a bulb. Sound can be measured. Sound waves move through the air, which creates pressure. The speed of sound is around 343 meters per second. You hear noises because your ears respond to this pressure. Decibels are the units for measuring sound pressure, just like the inches are units for measuring length. One a decibel scale, the louder the sound, the higher the number decibels. Zero decibels is the softest sound that can be hears and 194 decibels is the loudest sound that can be created. One of the highlights of the exhibit is the world’s largest playable guitar, a 2,255 pound, 16 foot wide and 43.5 feet long replica of the Gibson Flying V. This Flying V was prototyped in 1957 and released into production in 1958. The list of well-known musicians who have played the Flying V range from Metallica’s Kirk Hammett, Jimi Hendrix, Paul Stanley of Kiss, and Eddie Van Halen, to name a few. Other iconic instruments include the Rock Ock, the world’s only playable 8-neck guitar; a PRS Dragon guitar inlaid with 238 pieces of gold, red and green abalone, mother of pearl and the ivory of a wooly mammoth; a Ztar Z7S synthesizer guitar with a button for every fret and string (204 in total); and early Fender Gibson, Ovation and Martin Guitars that date as far back as 1806. • Bang out a beat on a variety of wood types. Which sounds the best? Plan you visit to Discovery Place. 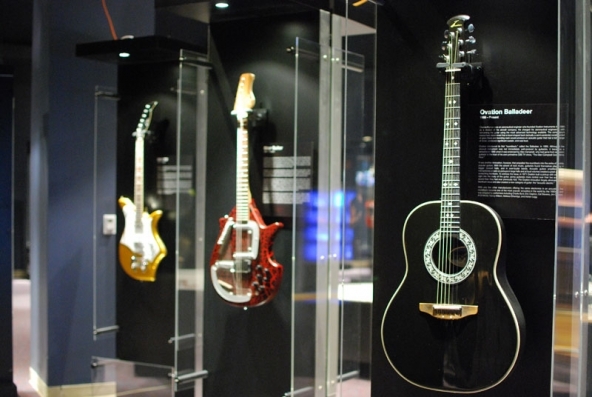 GUITAR will be on exhibit from May 30, 2015 – September 7, 2015 and is covered by regular museum admission fees. This summer, Discovery Place is activating Tryon Street with Six String Saturdays, a free music series featuring genres including jazz, pop, rock, sitar, Celtic, country, bluegrass and folk. Enjoy live music on the patio near our N. Tryon St. entrance every Saturday at 2:00 p.m. (unless otherwise noted). No Museum admission necessary. The Easter Bunny is a procrastinator. You’d think all that sugar fuels him to hop around like…well, the Energizer Bunny. Alas, he lacks organizational skills. If your Easter Bunny needs a boost this season, hop on over to fill your basket with state fare. If there’s one state that can boast the motherlode of locally made Easter basket gems, it’s North Carolina. We have curated some ideas to make your bunny’s job easier. 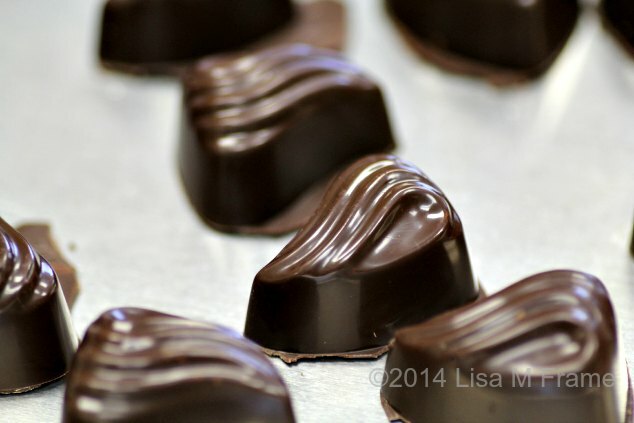 Shopping locally bolster’s our state’s economy, of course, but filling your basketwith local fare truly makes for a unique gift that makes a difference. 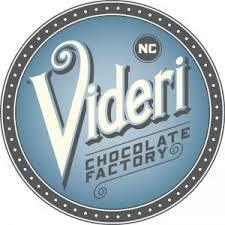 Piedmont Candy Company is one of the last vestiges of a family owned candy company with production in the United States. It’s based in Lexington, NC, home of more than barbecue. 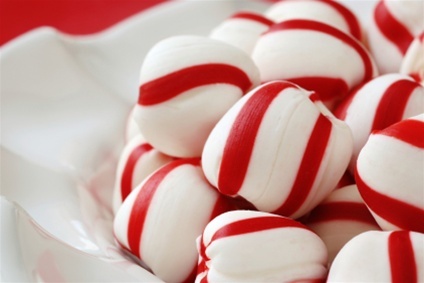 Try the Puffs in the citrus and fruit flavors. 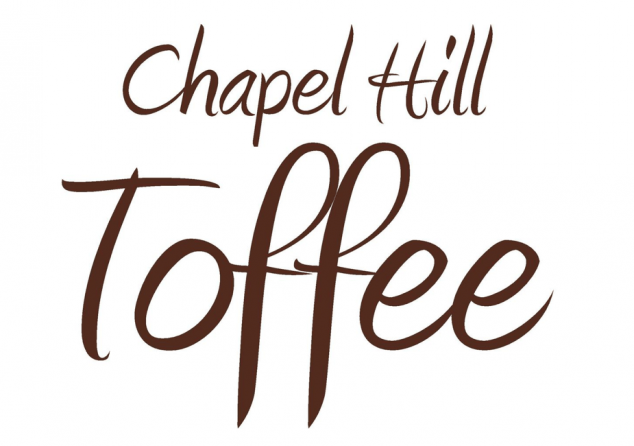 Chapel Hill Toffee, Videri Chocolate Factory, and The Secret Chocolatier will satiate your chocolate cravings way better than a waxy, hollow chocolate bunny. 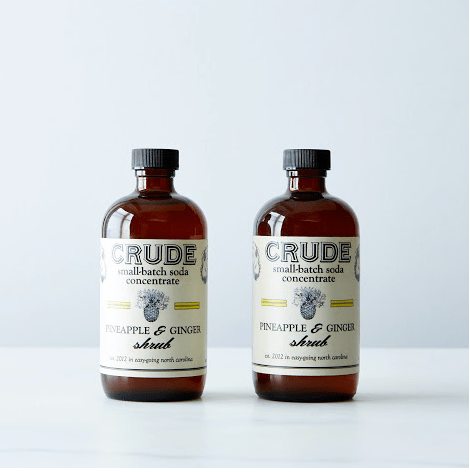 Crude Bitters & Sodas has a wonderful selection of unique bitters and shrubs. I cast my vote for the Pineapple Ginger schrub. Serve it up with some Topo vodka for the grown ups. I mean really, Easter baskets aren’t just for kids, right? 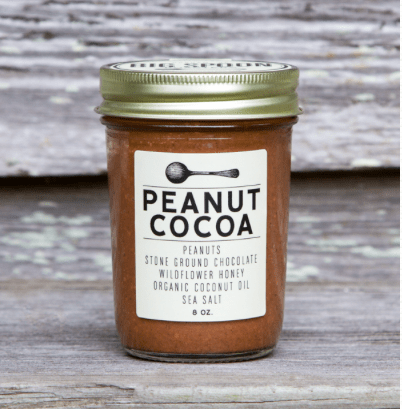 Big Spoon Roasters’ Peanut Cocoa Butter isn’t a body butter but it is a balm for the soul. Eat it off the spoon. Founder Mark Overbay’s favorite snack is a big ol’ spoon of peanut butter straight from the jar. Mine too. 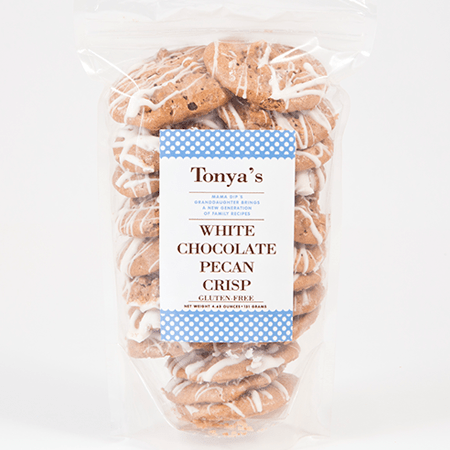 Tonya’s Cookies are the best kind of homemade treat…they are made in someone else’s home! Tonya comes from good kitchen stock; Chapel Hill’s famous Mama Dip’s is her grandmother’s restaurant. The ever so tasty White Chocolate Pecan Crisp is my favorite. Counter Culture Coffee will be a hit among the adults who woke up for a sunrise church service. Try the #46. We never imagined human trafficking would hit so close to home, literally and figuratively. Our friend’s cousin is missing. It is believed she has been kidnapped by a ring in North Carolina, and she is suspected to be as far away as California. Jewel was last seen leaving home for school but never made it there. Please share this post this far and wide. If you have info please call 917-209-4851.